When will be Milo Murphy's Law next episode air date? Is Milo Murphy's Law renewed or cancelled? Where to countdown Milo Murphy's Law air dates? Is Milo Murphy's Law worth watching? Doofenshmirtz becomes adventure buddies with Scott the Undergrounder. While Milo tries to get inside the school to receive an award at an awards show his school is hosting, Diogee teams up with the police to catch Zippy, the world's fastest koala. 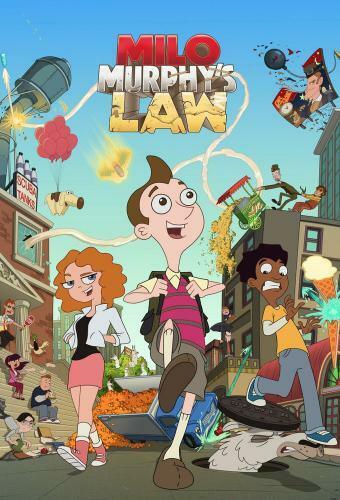 Milo Murphy's Law next episode air date provides TVMaze for you. EpisoDate.com is your TV show guide to Countdown Milo Murphy's Law Episode Air Dates and to stay in touch with Milo Murphy's Law next episode Air Date and your others favorite TV Shows. Add the shows you like to a "Watchlist" and let the site take it from there.